Thailand’s Minor Hotels Group, operator of the Anantara, Avani, Elewana and Oaks hotel brands, is set to open its first Anantara-branded hotel in Dubai on The Palm Jumeirah on September 15. 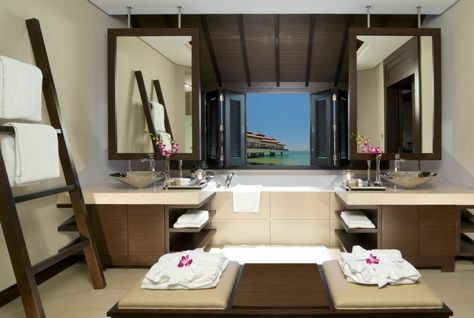 Anantara Dubai The Palm Resort and Spa, owned by Dubai-based Seven Tides Hospitality and formerly known as Royal Amwaj, was originally slated to open back in 2010 under the Movenpick Hotels & Resorts brand. Anantara Dubai was announced as the operator in January this year, although MHG CEO Dillip Rajakarier told Hotelier Middle East the firm had been involved in the project for several years. The Asian-style resort comprises 293 guest rooms and suites clustered in units of four to eight, with 130 rooms featuring direct access to 11,000 sq m of lagoon pools, 12 beach villas, 18 over-water villas — the first of their kind in the Middle East — and three Royal Beach Villas. Facilities include a private beach, three natural lagoons, a shoreline infinity pool, Anantara Spa, two tennis courts and a ballroom accommodating 300 people next to the private beach. Six themed restaurants and bars include Crescendo, an all-day dining restaurant serving classic Middle Eastern and international cuisine; Bushman’s Australian Grill, offering Australian-inspired cuisine; Mekong, featuring Thai, Vietnamese and Chinese dishes; Beach House, a beachfront Mediterranean restaurant; The Lotus Lounge with a dedicated shisha deck; and Mai Bar offering poolside refreshments.